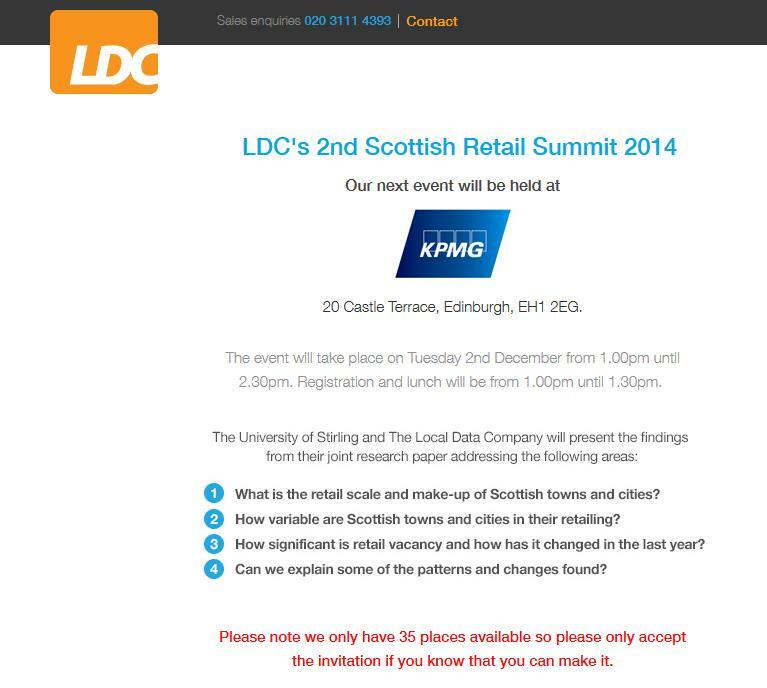 The Local Data Company/University of Stirling 2nd Scottish Retail Summit will be held on the 2nd December at KPMG in Edinburgh. The Summit will update our report from last year and reveal the new retail vacancy for Scotland and our leading towns and cities. Analysis and explanations of change will be updated. 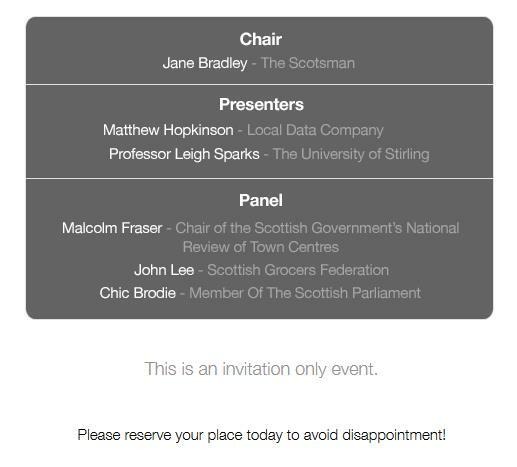 A Panel discussion will lead debate on the changing nature and direction of Scotland’s towns. Places are limited, so please reserve your FREE place as soon as you can. This entry was posted in Charity Shops, Convenience stores, ESRC, Government, High Streets, Independents, Local Data Company, Places, Scotland's Town and High Streets, Scottish Grocers Federation, Town Centre Action Plan, Town Centre Review, Town Centres, Towns, University of Stirling, Vacancies and tagged High Streets, Local Data Company, Retail, Scotland, towns, Vacancy. Bookmark the permalink. I trust you are well. I would like to attend this event next month, would it be possible to register me (sorry, I can’t see below how to reply to the organiser)? 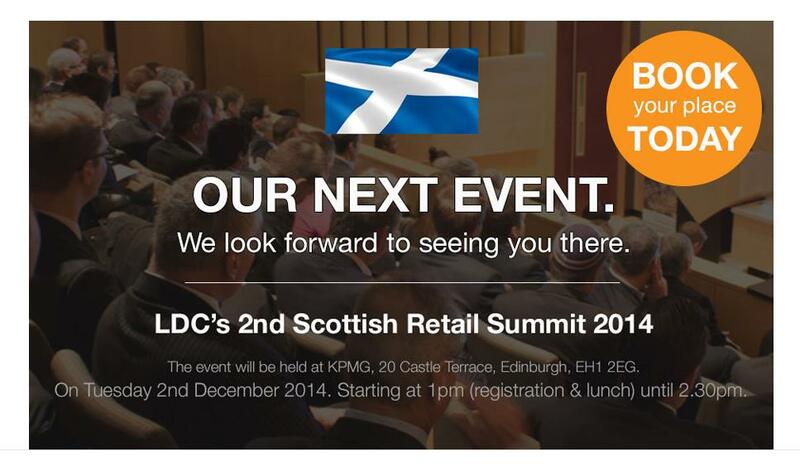 If you go to http://info.localdatacompany.com/scottish-summit-summit-2014-reserve-my-place then you should be able to register. Any issues please get back to me.